I bought this lovely, soft double sided fabric during my visit to Nomura Tailor whilst in Kyoto this February. I was REALLY frugal with my fabric buying during this trip as I didn't have a lot of spending money and we also had a really small luggage allowance (boo to you Cathay Pacific). I'm happy to report that when we fly to Japan with JAL this coming December we have a 52kg luggage allowance (!!!) and are allowed two suitcases. EACH. One will be filled entirely with fabric (and KitKats) I'm sure! Japanese fabric (well the stuff I bought) seems to be REALLY narrow. This was only 80cm wide so I bought 3 meters of it..just to make sure that I had enough to make whatever it was that I was going to make from it. When I got home from Japan the fabric went straight into the stash as I didn't want to sew it up "just yet" in case I fluffed it up. After my first Linden however I began to think, this soft and snuggly fabric would make a lovely Linden and the cuffs would be the perfect, yet subtle way to show off the other side of the fabric. 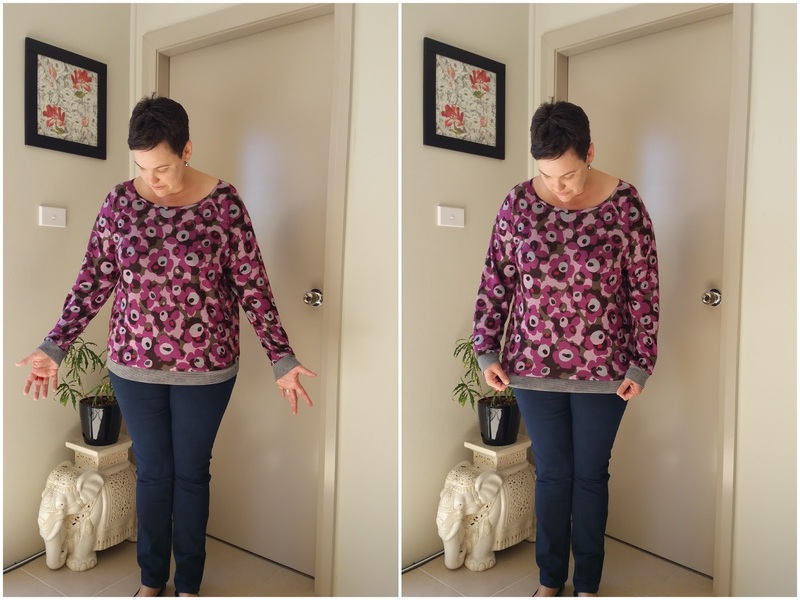 For this Linden I sized down to the size 16 all over and the fit is much better. 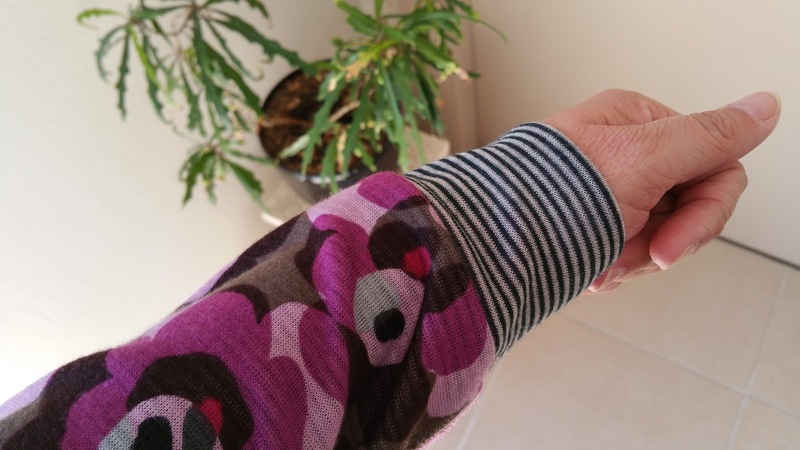 I do find the sleeves rather long on the Linden, especially once the cuff is added but I think this adds to the coziness of the top. 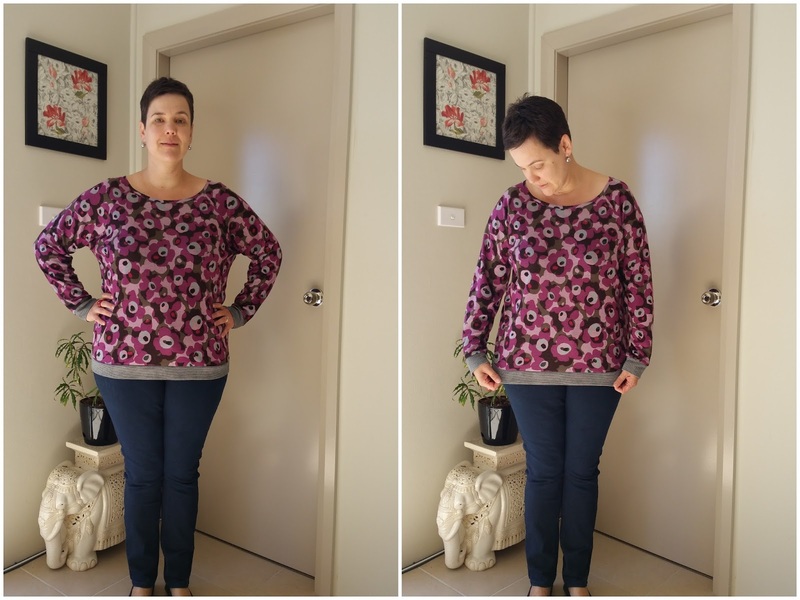 Perhaps the top could be a little smaller all over but I think it might start too lose it's comfy factor if I go too snug. Lovely! Clearly I need to give you a shopping list for Japan :P Their fabrics are just amazing and so soft too. I really like the neckline on this, it changes it from being a normal crew neck jumper.